A beautiful sunset view in an exclusive beach heaven in Zanzibar. Zanzibar is the tranquil white sand beach island that often shows up on your Instagram, complete with the bright turquoise waters, and palm-lined shores. It is the very definition of tropical paradise - and you’re welcome to visit it this year! Zanzibar is not only a tropical island paradise, but a long-standing port town as well. It offers a number of cultural hotspots and there are so many places to explore. 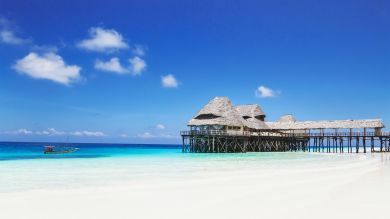 Here is a list of the top 10 things to do in Zanzibar and top places that you simply have to visit. These northern beach resorts are absolutely stunning, and the very definition of an idyllic beach holiday. Nungwi is the most popular beach resort in Zanzibar. 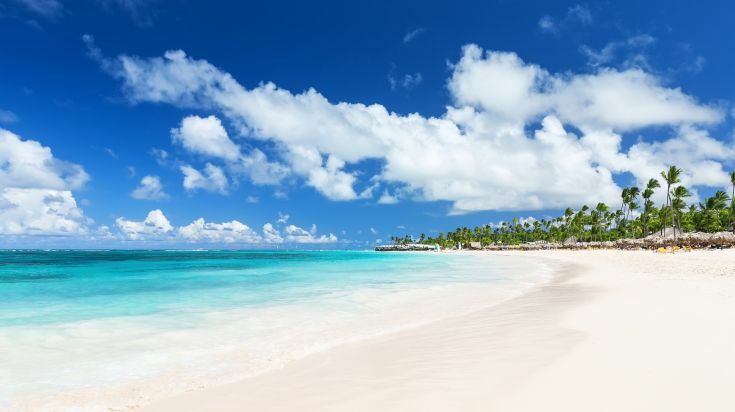 This beautiful golden beach has consistently been voted one of the best beaches in the world. 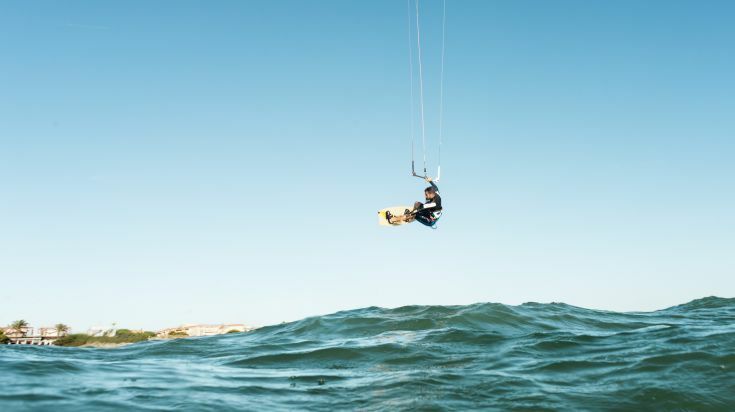 Nungwi’s resorts also offer a number of water sports options for those who are adventurous enough- including scuba diving, jet skiing, paragliding, and much more. Tourists shopping in a Jewelry store in Stone Town. Stone Town is Zanzibar’s capital, and one of the most eclectic places for you to visit while in Zanzibar. 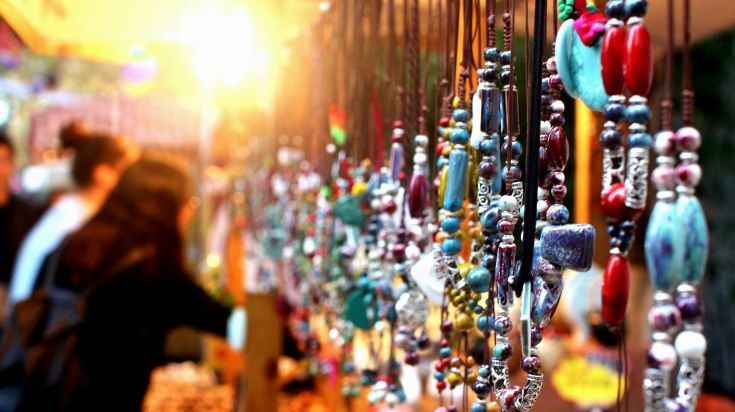 The narrow streets are lined with countless shops, where you can find amazing Tanzanian curios - including fabrics, coffee, spices, jewelry, and more. Stone Town is the capital city, and houses a lot more locals than the exotic beaches up north, so if you want to explore local life and culture, this is where you should definitely go. A bright sunny day in the beach of Kendwa in Zanzibar. The Kendwa beach is quite popular, and has a number of resorts for you to choose from, but it is much quieter than Nungwi. Kendwa beach is huge, and the lack of tourists makes the location more secluded and private. You can relax, and sunbathe during the day, and take the beautiful sunset cruises during the evening. If you’re looking for a relaxing vacation, this is definitely your best option. 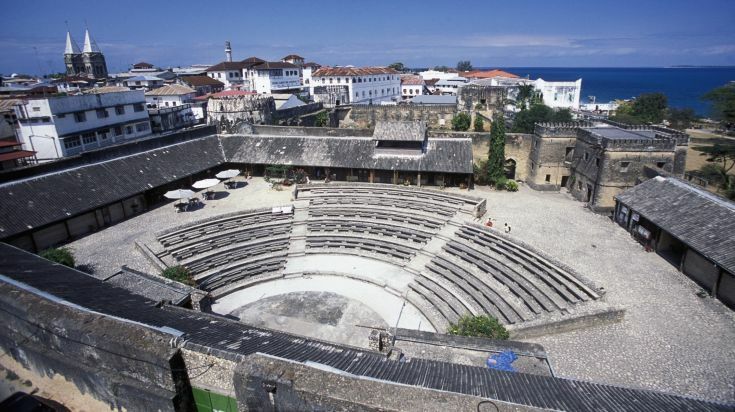 Open-air theater in Old Fort in Stone Town, Zanzibar. The Old Fort is the oldest building in Zanzibar’s capital. Built in the 17th century, in order to protect Stone Town from Portuguese invaders, the fort still stands tall, guarding the beautiful city and its people. The fort is located right next to the Forodhani Gardens, and it has a number of attractions for visitors. You can soak in the history of the fort, before heading to the courtyard, where you can enjoy local products being sold by the citizens of Stone Town. The amphitheater inside the fort hasZanzibar is historically famous for its spices. It was a bustling center for spice trade, which soon became its most profitable industry. This is a matter of local importance, and will definitely help you learn a lot about Tanzanian history as well. 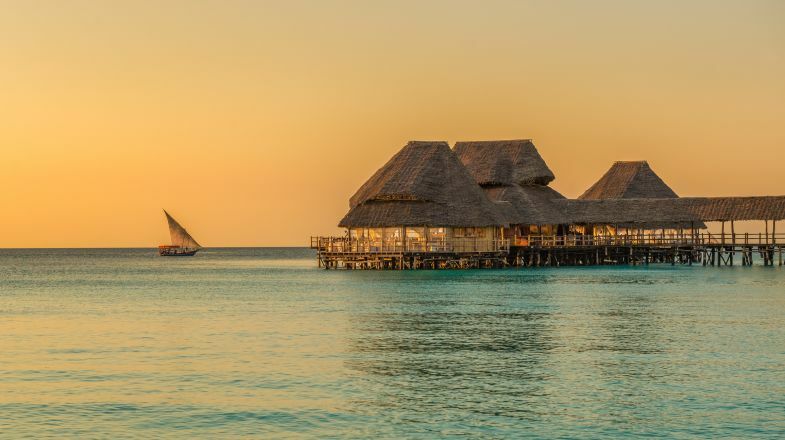 You can choose between a number of different tours of the Spice Islands, where you will get to explore the winding roads of Zanzibar, and learn about the history of different spices, and how it affected the course of the islands. You will get the chance to learn about new spices, and buy some to spruce up your culinary skills! some productions- so keep a look out for that. Zanzibar is historically famous for its spices. It was a bustling center for spice trade, which soon became its most profitable industry. This is a matter of local importance, and will definitely help you learn a lot about Tanzanian history as well. 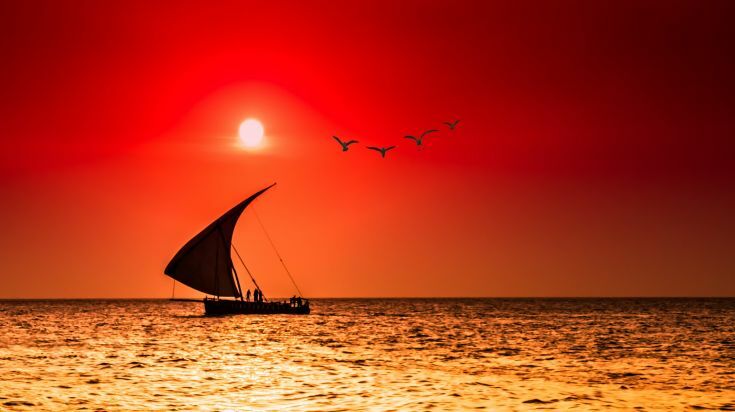 You can choose between a number of different tours of the Spice Islands, where you will get to explore the winding roads of Zanzibar, and learn about the history of different spices, and how it affected the course of the islands. 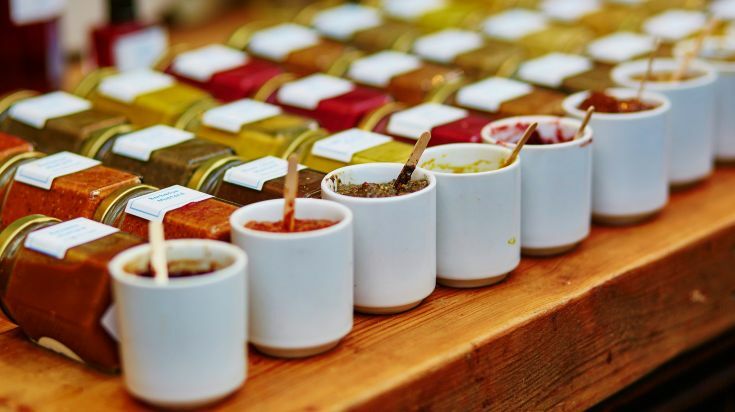 You will get the chance to learn about new spices, and buy some to spruce up your culinary skills! There are no two ways about snorkeling at the Mnemba Atoll. If you find the right boat captain to match your needs and spend about USD 25, but this trip is a great value for money. You will travel into the turquoise waters in a traditional Dhow boat, with your local crew. The Mnemba Atoll is a private island, but the boat will stop close to the shore, so you can walk on the edge, and explore the rich and colorful coral surrounding the island. 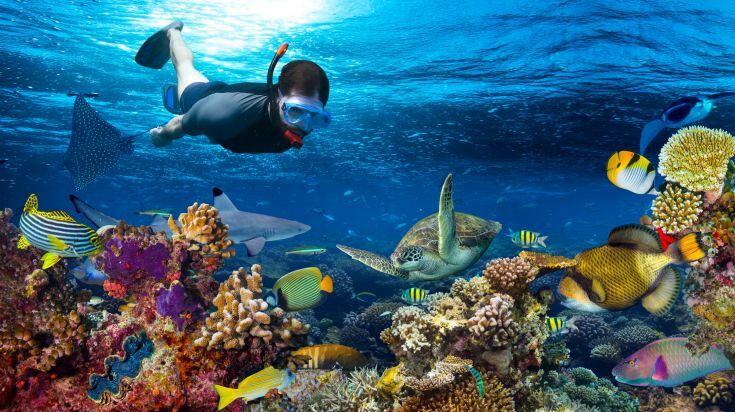 You will also get the opportunity to see dolphins, barracuda, eels, and many colorful schools of fish. Amazing sunset view in the Nungwi beach, Zanzibar. If you are in Zanzibar, there is no escaping the beautiful sunset every single day. However, there are some areas where the sunset is particularly beautiful. The northern beaches, especially Nungwi and Kendwa are perfect for this, as they face the west. There are a number of bars that have hammocks, so that you can view the sunset, while sipping some madafu (coconut water, right out of the shell). Another place that’s ideal for sunset is Africa House Hostel, in Stone Town, where the Sunset Lounge Balcony offers a vibrant location to view the sunset from. 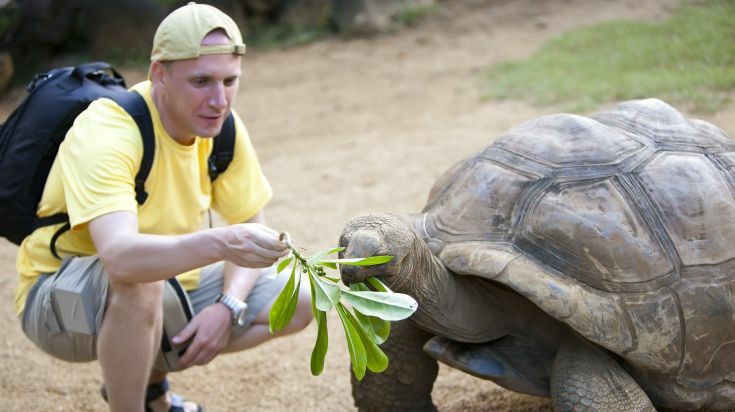 Tourist feeding the Giant Turtles in Prison Island, Zanzibar. Changuu, or Prison Island, is definitely a must-visit if you’re going to Zanzibar. The island has some stunning natural beauty - you can go snorkeling around the island, and walk on the water, atop the beautiful coral reefs. The main attractions on the island are those giant turtles and dolphins. In fact, if you book in advance, you can even feed the turtles in the afternoon. If you’re interested in exploring the history of the island, go to the Slave Trade Museum, where you can learn about the island’s past. Zanzibar has a vibrant culture that is a mix of Swahili and local Zanzibari culture. The best place for you to learn about it is the House of Wonders, a stunning and historic building located in Stone Town. It’s quite close to the Forodhani Gardens, and the Old Fort as well. The exhibitions in the House of Wonders will give you a lot of insight into both cultures. Forodhani Gardens and Market is probably one of the liveliest areas in Stone Town- and once you visit the city, you not be disappointed. This is the part of the town where you will find the freshest local produce, all cooked and sold in true Zanzibari fashion. 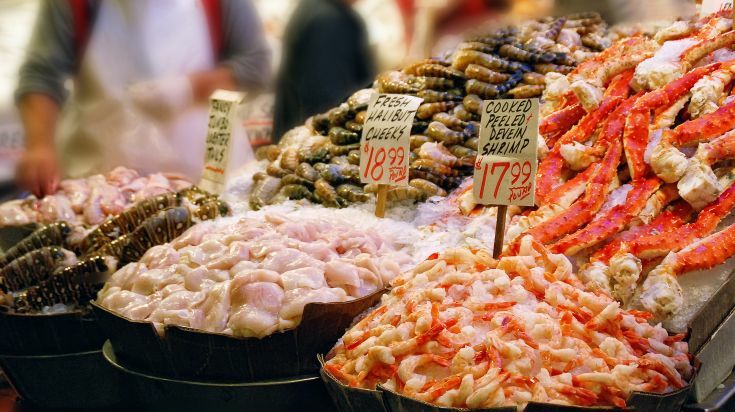 If you are a seafood lover, you will get a chance to taste freshly grilled fish and meat, served with delicious potato balls, and more! What more can a person ask for? Still looking for some exciting things to do in Zanzibar? 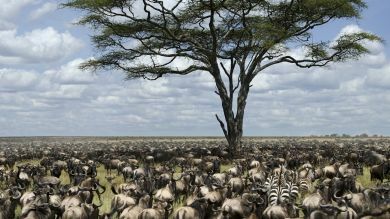 You will have to know when is the best time to visit Zanzibar. Get in touch with us and let our experts design a custom-made package just for you.